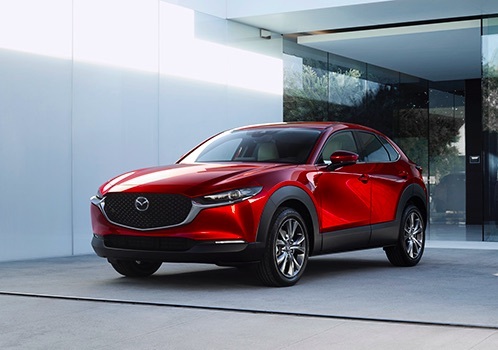 The CX-30 is a new compact crossover that combines the bold proportions of an SUV with elegant styling that embodies Mazda's Kodo design language. The development team hoped to create a car that would enrich customers' lives by helping them and their loved ones make new and stimulating discoveries within their daily lives. Relaxed and user-friendly packaging and a cabin that comfortably seats four adults mean customers can easily enjoy trips to any destination with family and friends. Moreover, the CX-30 was designed to be easy to drive. The increased height over a passenger car provides excellent visibility and makes getting in and out a breeze while the body size makes it easy to maneuver on any road and in any parking lot. Basic performance attributes such as accelerating, turning and braking have been dramatically enhanced. Mazda's Skyactiv-Vehicle Architecture enables people to make the most of their natural sense of balance and the latest Skyactiv engines, including Skyactiv-X, allow responsive control of vehicle speed in any driving situation. 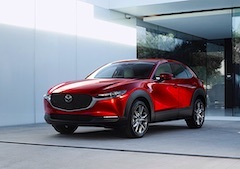 "We designed the CX-30 to be an essential partner in the customer's daily life," said Akira Marumoto, Mazda's representative director, president and CEO. "It will be made at key global plants so we can deliver Mazda's renowned driving pleasure and matured Kodo design to customers all over the world. Moving forward, our new products and technologies will ensure customers continue to see the value in owning a Mazda car. We aim to be recognized as a brand that forms the strongest of bonds with each customer." (1) Press days at the Geneva International Motor Show are March 5-6.